Is there a Disney Cruise to Hawaii? Many cruise lines including Princess cruises sail to Hawaii. However, although Disney has offered Hawaii cruises, at the moment there are non scheduled until 2020. Sadly there is no Disney cruise Hawaii 2018 or 2019. Disney cruise lines just announced that they will be sailing to Hawaii again in 2020. The Disney Wonder has two Hawaii sailings for 2020. Disney cruises first sailed to Hawaii in 2012. The Disney Wonder is the only Disney ship which has cruised to Hawaii. She is the only Disney cruise ship which has sailed on the West Coast. At the moment the Disney Wonder sails Cruises To Alaska in the summer and Disney Mexican Riviera Cruises in the Spring and Fall. The 2012 Disney Hawaii Cruises were round trip from Los Angeles. She sailed on April 29th and October 14th 2012. These Disney Hawaii roundtrip cruises had a lot of Sea Days. The 15 night cruises had 9 days at Sea. For us that would be perfect. It is similar to the Disney Panama Canal Cruise in terms of cruise length and amount of days at sea. 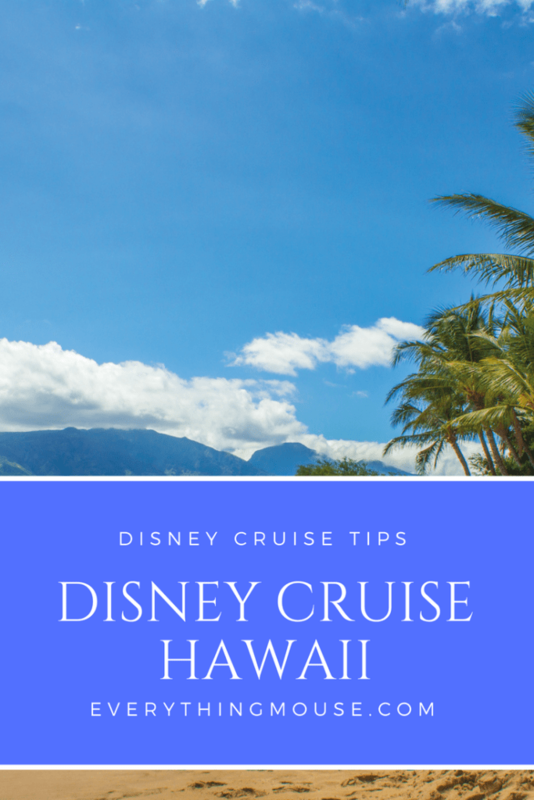 The Disney Hawaiian Cruise had port stops at Hilo and Kahului in Hawaii, Honolulu on Oahu and Nawilwili in Kauai. The final port was Ensenada Mexico. Here is the full itinerary for the Disney Hawaii cruises which sailed in 2012. A 15 night cruise gives you plenty of time to truly relax and enjoy a vacation. There is a lot of time at sea on this Disney cruise to Hawaii but that is a huge part of the appeal. How often do you go on a trip only to find yourself at the end of it, more exhausted than when you started out? Sometimes it is a good idea just to step back and take some time to truly relax. Even perfect the art of doing nothing, if only for a few days! Disney also sailed to Hawaii in 2015. These were very different itineraries as they were not round trips. She sailed from Vancouver to Honolulu on one cruise and from Honolulu back to Vancouver on the return. The Disney Wonder had just completed her Alaskan sailings for 2015. The first one sailed on September 7th 2015 out of Vancouver. The second one sailed from Honolulu on September 17th 2015. Each Hawaii Disney cruise was 10 nights. Each Disney Hawaii cruise 2015 had the same port stops of Hilo (Hawaii Island), Nawiliwili (Kauai) and Kahului (Maui) and Honolulu (Oahu). As you can see, these two Disney cruises to Hawaii are very different. I remember that demand for the 15 night roundtrip sailings to Hawaii were in huge demand. The 11 night sailings in 2015 didn’t sell as well. One way cruises are generally more difficult to sell. A huge part of the appeal of the roundtrip cruise to Hawaii is that you do not have to pay for airfare back if you can easily get to LA. On the one way cruises from Vancouver and back your only option was to fly one way – unless you could sail on both and make it a round trip! Imagine a 22 day round trip Disney Cruise. Very nice, but not an option for most people! Will There Be Disney Cruises to Hawaii in the Future? We predict that there will be more Disney cruises to Hawaii on the horizon. We were right to predict that there would be a return to Hawaii in 2020 and we are confident that there will be more sailings in the future. Disney cruise lines has ordered 3 more ships. The first new Disney Cruise Ship will set sail in 2021. Two more will be launched in 2022 and 2023. The new Disney ships will be slightly larger than the Disney Fantasy and the Disney Dream. However it will have the same number of staterooms at 1250. Of course it is fun to speculate about where the new Disney cruise ships will sail from. We think that a fair bet is that one of the new Disney ships will go to Australia. There is a huge demand for cruises in Australia and we think Disney would be very popular there. With Disney cruise lines almost doubling it’s fleet by 2023 we think that there will be a lot more opportunity for cruises to Hawaii. Whilst be know that there won’t be any Disney cruise to Hawaii for 2018 or 2019, it seems to be that by 2021 we can look forward to a return to the islands. With more Disney cruise ships sailing the ocean there will be more of an opportunity for at least one of the ships to be on the West Coast. If this happens the Disney Wonder could sail out of Los Angeles and Vancouver year round. Therefore this would be the perfect opportunity for a Disney cruise to Hawaii. Most likely this would be a round trip from Los Angeles. Will Disney cruises have Hawaii as a home port? In some ways this would make sense. Guests could then combine a Disney cruise with a stay at Aulani. However, there are problems with this plan which make it unlikely. Ever heard of the Passenger Vessel Services Act (PVSA)? Probably not, but it has a big impact on the cruise industry. The PVSA was signed into law by President Grover Cleveland in 1886 to protect US workers. It means that to sail passengers from one US port to another, without a port stop in a no US port, certain conditions have to be met. The ship has to be owned by a US company, built in the US and exclusively staffed by a US crew. If it isn’t and it breaks the rules it has a $300 fine per passenger. The only condition which Disney, and most cruise companies meet, is that they are US companies. However, cruise ships aren’t built in the US. The cruise ship industry usually relies on a large number of no US crew. These rules explain why the only cruise ship to sail around Hawaii is NCL Pride of America. It has a crew which is entirely made up of US Citizens or Green Card Holders. This ancient law also explains why ships which sail from a US port have to always sail to a non US port before returning back to the US. 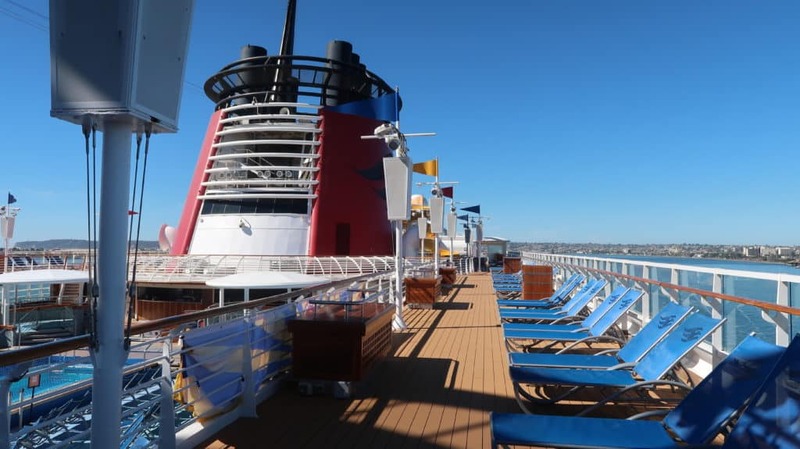 That is why the Disney cruises to Hawaii had to have a port stop in Ensenada Mexico before sailing back to Los Angeles. 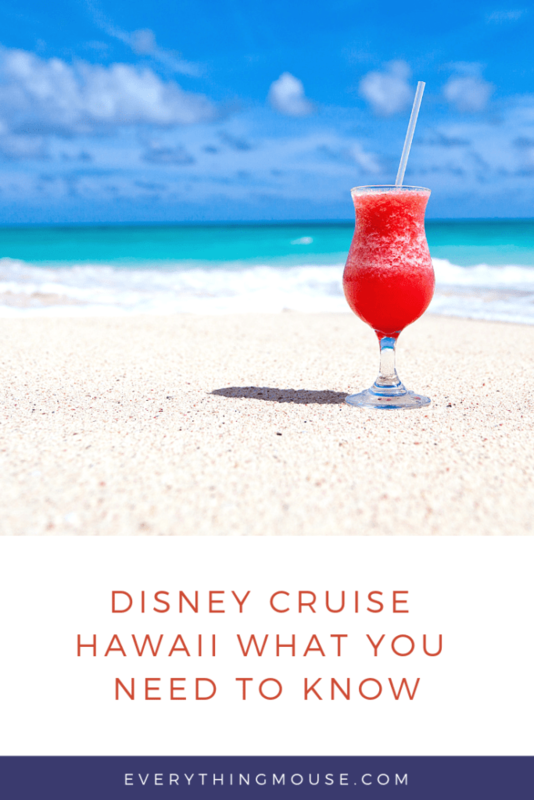 Why Should You Sail on a Disney Cruise to Hawaii? 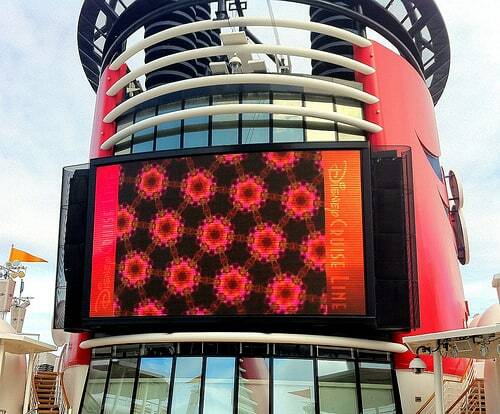 A Disney cruise is an amazing experience for the whole family. Of course there is so much to do on a Disney cruise you are always going to have something to keep you occupied. 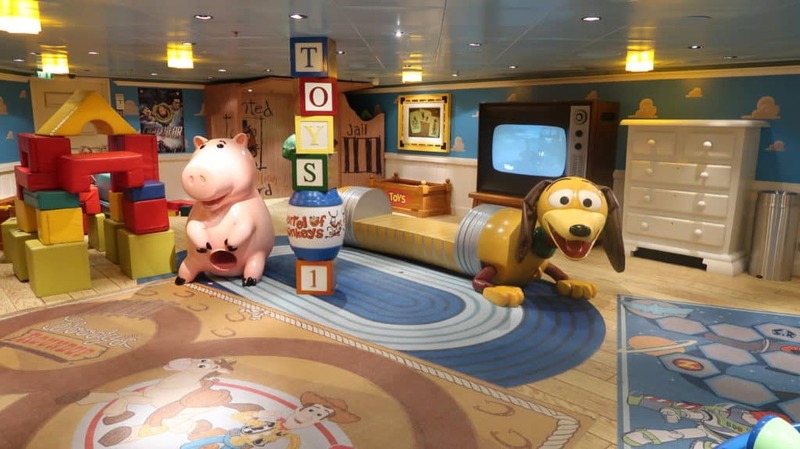 Disney cruises are very family orientated but there is something for all ages to enjoy. Don’t think that this one is just for the kids because the adults are not going to want the cruise experience to end either! 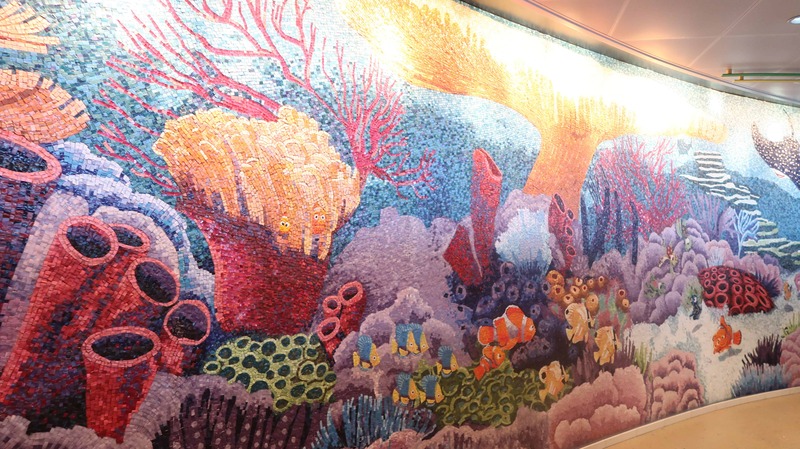 What is so special about a Disney cruise? So many things make a Disney cruise a magical experience. The staterooms are up to 25% larger than others in the industry. This makes a huge difference, particularly when you are sailing on a longer cruise. The children’s entertainment and kids clubs are the very best at sea. Disney always excels at putting on a show and you can experience Broadway quality entertainment every night on your cruise. And of course you have the Disney magic. 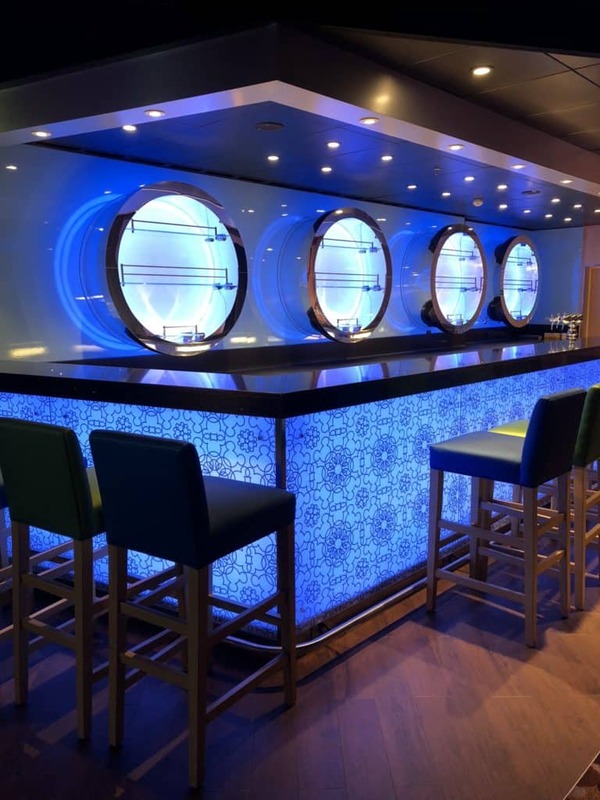 It is difficult to put into words if you have never sailed on a Disney ship, but the standard of service is exceptional and the attention to detail is not something you usually find with other cruise lines. As soon as there is a Disney cruise to Hawaii announced we are going to be one of the first to book it. Are you?